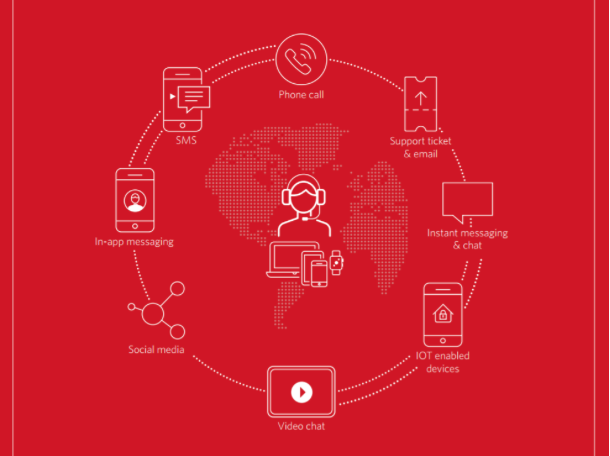 The Omnichannel Contact Center - Part 1: How can your contact center keep up with evolving customer expectations without a rip and replace? When you look at the items on your contact center ‘shopping list’ – let’s say web chat, text messaging or video chat – how many have been on that list for a year or more? Perhaps you’ve looked into features like SMS, then realized it’s so not straightforward to add new functions to your expensive call center system. You discover that you’ll need a third-party SMS provider, and another to handle integration. Before you know it, you’re looking at a lengthy implementation cycle, and ripping and replacing existing software. And that’s where progress stalls. Up to 40 percent of contact center managers say that their IT doesn’t meet current needs, with 80 percent saying current systems won’t meet future needs, according to Dimension Data’s 2015 Global Contact Center Benchmarking Report. Heads of Customer Experience want to keep up with changing user behavior and emerging channels, but their existing infrastructure is holding them back. Read on to learn how programmable communications gives you the flexibility to augment features to your existing contact center and iterate a better customer experience, rather than rip and replace your whole system. Two main things are driving the evolution of the contact center: digital innovation and the changes in customer behavior that this creates. Today, customers use an array of devices, in a seemingly endless set of contexts and channels. They expect to connect with brands and contact centers with similar tools to the ones they use to communicate with friends, from SMS to Snapchat. And this expectation has an effect on the bottom line: 86 percent of customers will pay more for better customer experience, while 89 percent will leave due to poor customer experience (2011 Customer Experience Impact Report, Oracle 4). According to a 2015 Dimension Data survey, 50 percent of organizations will soon be managing a multichannel contact center, featuring at least eight different forms of contact methods, seven of which are digital. Your customers demand contact and support through an ever-expanding network of channels, contexts and devices. And they're willing to pay for it. Think about the lead time involved in adding new contact center features. It can take months to select a provider, and up to two years from definition to installation. That’s an eon in the digital world. By the time the system’s online, the world has moved on. The features you sought at the outset are already no longer fit for purpose. This traditional approach also requires large capital expenditure investments up front to purchase physical hardware. It’s then expensive to integrate these systems into CRM, social or proprietary databases. Long, risky, and expensive upgrades: The existing infrastructure could support new capability, but it requires software or hardware upgrades. Simple software upgrades are service impacting, costly and time-consuming. Analysis paralysis: Since you are unable to launch and iterate quickly, it is easy to get stuck in the analysis to try and get the experience right the first time. Prioritization problem: Larger high-level decisions, such as deciding what database, CRM or agent console should be the primary repository of customer information, often block rolling out simple enhancements. If existing infrastructure just does not support augmenting capabilities easily and quickly then the only option you have is to rip and replace. But here’s the good news: Twilio gives you the building blocks to quickly and easily add messaging, voice, and video channels to your existing contact center. With Twilio APIs, you can add the new features you need to keep up with customers’ rapidly evolving expectations without having to start over from square one.